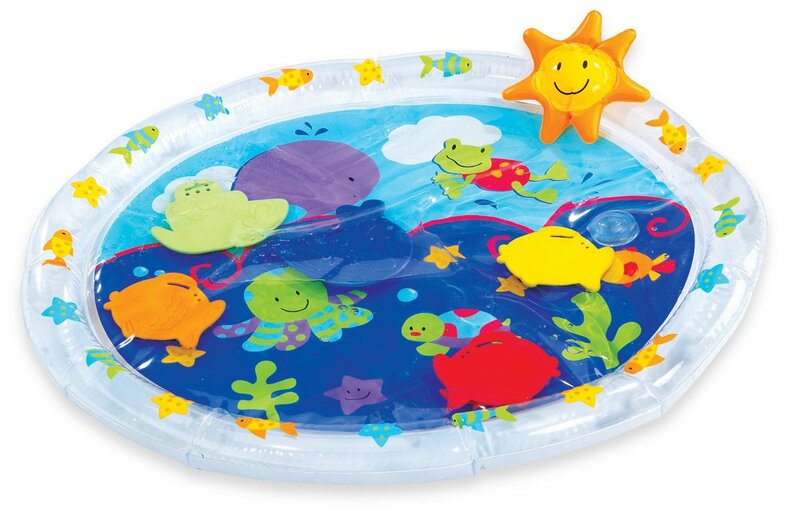 Now your baby can enjoy an ocean adventure while nurturing, stimulating, andchallenging their mind and body with the Earlyears Fill 'n Fun Water Play Mat.Just inflate the border of the mat and fill the center with tap water for anafternoon of tactile and visual fun. Five water pals float around in the matfor your baby to push and try to grab. Great tummy time activity. Mat measures20" by 17". Phthalate-free vinyl. From the Manufacturer Earlyears infant toys and activities are designed to nurture, stimulate andchallenge the minds and bodies of growing babies by focusing on 4 areas ofdevelopment: sensory stimulation, motor skills, cognitive abilities and socialskills. Our high-quality, beautifully designed, award-winning toys for babiesspan the full spectrum of play patterns and possibilities. With our much lovedEarlyears products, there's something for everyone.